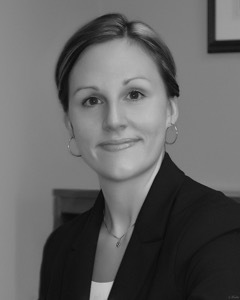 Dr. Katherine Guérard received her Ph.D. in 2009 from l'Université Laval. She then completed a postdoctoral fellowship under the supervision of Dr. Jean Saint-Aubin at l'Université de Moncton for a year before accepting an assistant professorship there. Within two years of her appointment, she became the Chair of the Department of Psychology at Moncton, even before receiving tenure there. Katherine has authored or co-authored 30 articles in top journals including Journal of Experimental Psychology: Learning, Memory and Cognition; Journal of Experimental Psychology: Human Perception and Performance; Psychonomic Bulletin and Review; Memory and Cognition; and Quarterly Journal of Experimental Psychology. Katherine’s work is solid, innovative, and diverse. The many topics her work has explored include the role of the motor system and of affordances in immediate memory; visuo-spatial processes in immediate memory and in reading; the Hebb repetition effect and its relationship with word learning; and the processes involved in backward recall.